I bought this book on the 31st of March 2004, I know this because at the time I was writing the purchase date inside the book, anyway, it has sat in the pile for 12 years until last week. Last week I picked it up, started it and put it down rarely, mainly for sleep and work. This is an absolute joy to read, I had heard and read that it was amusing, I didn't know that large parts are absolutely hilarious. There are actually two books, Part One was published in 1605 with Part Two published in 1615. The story revolves around Alonso Quixano who after reading many books on Knights and chivalry goes insane, thinks he's a Knight errant ( a Knight who travels widely in search of adventures) and heads out looking for adventures,taking along as his squire ,the wise dolt Sancho Panza. Part One is pure farce with many incidents, the best known is with his fighting the Giants (windmills in a field). He also witnesses two armies fighting for their lives ( mobs of sheep moving across the plain) with many many similar adventures. Panza knows his master is insane but gets caught up in the madness as he has been promised " spoils" from the adventures. Part Two is not quite as humorous and dips into tragedy as many friends and family know that Quixote is the "drunken uncle" at Christmas, a figure of sadness rather than one for constant ridicule. 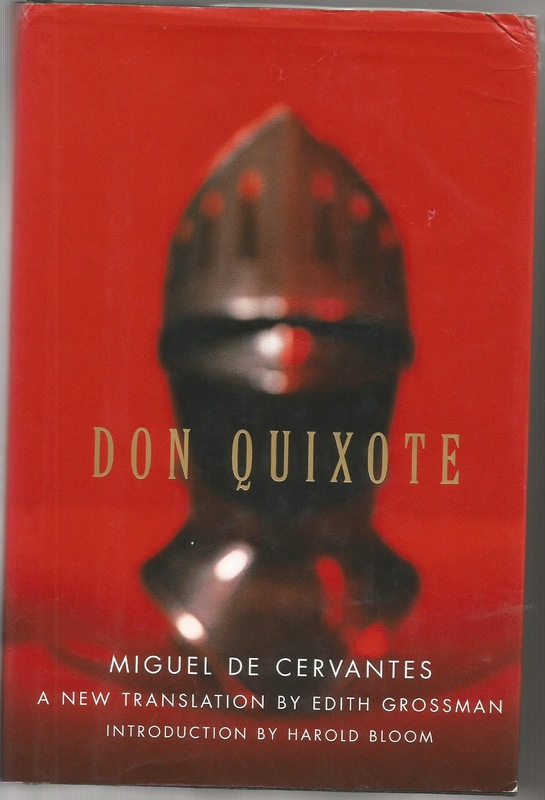 Although Quixote is certifiable he speaks forthrightly to many he meets on his travels, these speeches make sense to the reader and other characters but at the back of it , he' mad and needs help, which is forth coming eventually. This is spoken of as the first modern novel, the novel from which all forms of novels written since take in part. Reading the book you can see this. There are novels within the novel, we have Cervantes as a mere medium for the real author of the book supposedly. Its an amazing work, the original of all that's come since.